Treon's Realm: Resident Evil: Revelations Coming To The Big Screen? Resident Evil: Revelations Coming To The Big Screen? Resident Evil: Revelations for the Nintendo 3DS is a unique beast. On one hand, expectations for the game were much lower than normal due to the bland action fest that was Resident Evil 5. This helped the developers produce a game that recalled more of the feel and style of Resident Evil 1, 2 and 4 while mixing up the environments and pacing with non-linear chapters. The result was the best Resident Evil game since 2005 which was slightly marred by a so-so story which isn't surprising after Resident Evil 5 pissed all over the series mythology. One of the games standout features was the amazing Raid Mode which successfully took the stale Mercenaries mode and fleshed the idea into a great blend of action, RPG and multiplayer. The game was a hit and became a showpiece of the Nintendo 3DS giving fans hope for the series return to greatness with Resident Evil 6. Unfortunately, RE6 dropped everything that made Revelations great and promptly took a dump on the once great series. Hoping to recover from the mess that is Resident Evil 6, word is that Capcom wants to take the 3DS hit and port it to the PS3 (with a 360 version not far behind no doubt). While the Wii U would be the most logical choice, no word is given on a port to Nintendo's HD console. 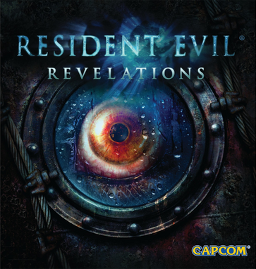 What are your feelings on a possible HD port of Resident Evil: Revelations? What home consoles, if any, would you like to see this game on? Let us know below in the comments.